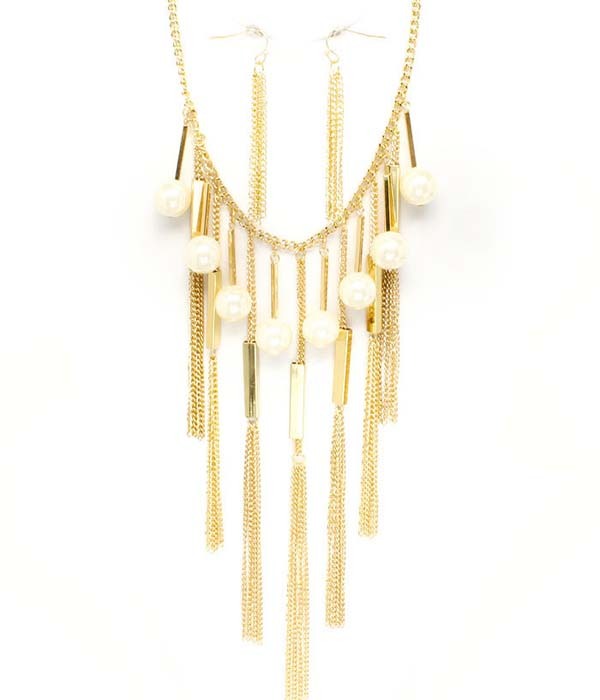 An exquisitely crafted gold tone chains with rectangular metal details and faux pearls are dangling like a waterfall. The earrings consist of an array of long chains looking like a tassel. Buy this gorgeous piece of costume jewellery online today and get fast delivery within days.